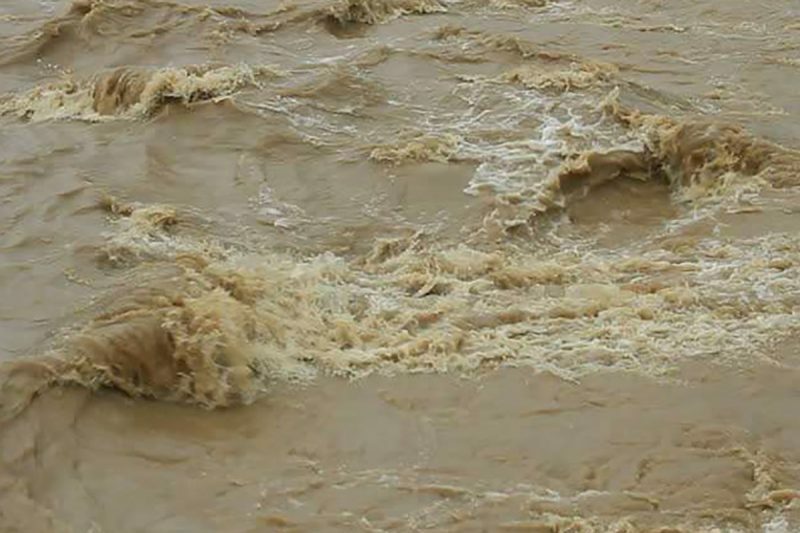 In lieu of all the rain that has led to recent flooding conditions around the nation, you may be among those anglers trying to figure out how to deal with rising and, oftentimes, muddy water. High water has impacted everyone from the Gulf States to here in Michigan, where the lakes are still ice covered. Many southern anglers are dealing with fish in a variety of stages, from late winter seasonal patterns to spawning conditions. There is no doubt that finding the bass is hard to do when the water is rising. The fish inherently want to push shallow and spread out when the water level is moving upwards. Just keep in mind that some of your best spring fishing days can occur when warming water is rising fast. Cold water makes it a little tougher, and I will get into that later. I key on runoff areas, such as backs of creeks, around culverts or even residential yards and water from city streets. Water temperature is critical, as it can vary from one pocket or creek to another. You may find as much as a five-degree difference from one spot to the next, so look for the warmest runoff you can find. And don’t overlook ultra-shallow areas. Bass will put their noses on a seawall, bank or a log even if it’s in inches of water. I will fish a spinnerbait under those conditions most of the time. The spinnerbait usually fishes well in flooded grass, bushes and around trees and allows me to cover water faster and more thoroughly. However, spinnerbait style is critical. This is when I want a bulky spinnerbait with Colorado blades. Those blades not only put out a lot of vibration to help the fish find the bait in muddy water, but they provide lift and require you to wind the bait slower. As a result, the bait will stay in the strike zone longer and make it easier for the fish to react. Water temperature is critical, as it can vary from one pocket or creek to another. You may find as much as a five-degree difference from one spot to the next, so look for the warmest runoff you can find. I also opt for bright colors, such as fire tiger, chartreuse, fluorescent oranges, yellows and even pearl white. Black can be good too, because it provides a good silhouette in dirty water. If there is too much debris to fish a spinnerbait, I will got to 1/2-ounce Strike King Hack Attack Flipping Jig in black/blue with a blue craw-colored Rage Craw (or a similar rig in white) and flip it into thick cover or even swim it, depending upon the area I’m fishing. Now, in cold water, your challenge rises. It’s the toughest to face in early spring. Just remember that if the bass are still in the winter pattern, they are less likely to move to prespawn areas when the water is cold and rising. However, there always is a segment of the fish population that lives shallow most of the time, and that’s where I like to throw a KVD 1.5 Flat crankbait that displaces a lot of water and allows me to make a lot of casts while searching for fish. It’s important to fish this lure close to the bottom or near objects because that’s where the fish will be holding. In cold muddy water, I will make parallel casts to channel swings, steeper banks, and riprap. Rising water may wash out your favorite places to fish for spring bass, but that doesn’t mean you can’t catch them in other areas. Just employ some of the tactics outlined here, cover a lot of water and you might be surprised with the results. And remember, it’s all about the attitude!